Palm wine is an alcoholic beverage created from the sap of various species of palm tree such as the palmyra, date palms, and coconut palms. It is known by various names in different regions and is common in various parts of Asia, Africa the Caribbean and South America. Palm wine is known as "palm Wine" in [ Liberia ] emu, nkwu, oguro in Nigeria; nsamba in the Democratic Republic of the Congo; nsafufuo in Ghana; kallu in South India; Htan Yay (ထန်းရည်) in Myanmar; matango in Cameroon; tuak in North Sumatra, Indonesia; mnazi in the Mijikenda language of Kenya; goribon (Rungus) in Sabah, Borneo; and tubâ in the Philippines, Borneo and Mexico. In the Philippines, tubâ refers both to the freshly harvested, sweetish cloudy-white sap and the one with the red lauan-tree tan bark colorant. In Leyte, the red tubâ is aged with the tan bark for up to six months to two years, until it gets dark red and tapping its glass container gives a sound that does not suddenly stop. This type of tubâ is called bahal (for tubâ aged this way for up to six months) and bahalina (for tubâ aged thus for up to a year or more). Toddy is also consumed in Sri Lanka and Myanmar. The sap is extracted and collected by a tapper. 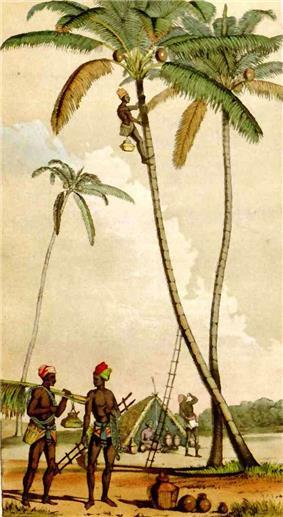 Typically the sap is collected from the cut flower of the palm tree. A container is fastened to the flower stump to collect the sap. The white liquid that initially collects tends to be very sweet and non-alcoholic before it is fermented. An alternate method is the felling of the entire tree. Where this is practiced, a fire is sometimes lit at the cut end to facilitate the collection of sap. Palm sap begins fermenting immediately after collection, due to natural yeasts in the pores of pot and air (often spurred by residual yeast left in the collecting container). Within two hours, fermentation yields an aromatic wine of up to 4% alcohol content, mildly intoxicating and sweet. The wine may be allowed to ferment longer, up to a day, to yield a stronger, more sour and acidic taste, which some people prefer. Longer fermentation produces vinegar instead of stronger wine. Palm wine may be distilled to create a stronger drink, which goes by different names depending on the region (e.g., arrack, village gin, charayam, and country whiskey). Throughout Nigeria, this is commonly called ogogoro. In parts of southern Ghana distilled palm wine is called akpeteshi or burukutu. In Togo and Benin it is called sodabe, in the Philippines it is called lambanog, while in Tunisia it is called Lagmi . In parts of Kenya (coast), it is known as "chang'aa". Chang'aa can be applied to wounds to stop heavy bleeding (mechanism of action not known). In Ivory Coast, it is called "koutoukou." 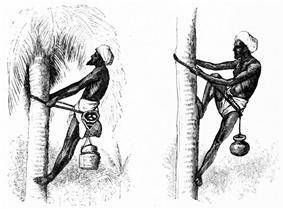 In Africa, the sap used to create palm wine is most often taken from wild datepalms such as the silver date palm (Phoenix sylvestris), the palmyra, and the jaggery palm (Caryota urens), or from oil palm such as the African Oil Palm (Elaeis guineense) or from Raffia palms, kithul palms, or nipa palms. In part of central and western Democratic Republic of the Congo, palm wine is called malafu. Palm wine tapping is mentioned in the novel Things Fall Apart by the Nigerian writer Chinua Achebe and is central to the plot of the novel The Palm Wine Drinkard by Nigerian author Amos Tutuola. Palm wine plays an important role in many ceremonies in parts of Nigeria such as among the Igbo (or Ibo) peoples, and elsewhere in central and western Africa. Guests at weddings, birth celebrations, and funeral wakes are served generous quantities. Palm wine is often infused with medicinal herbs to remedy a wide variety of physical complaints. As a token of respect to deceased ancestors, many drinking sessions begin with a small amount of palm wine spilled on the ground (Kulosa malafu in Kikongo ya Leta). Palm wine is enjoyed by men and women, although women usually drink it in less public venues. In some parts of the Eastern Nigeria, the Igbo Land, palm wine is called "Nkwu Elu" or "Mmanya Ocha" (white drink). For instance, in "Urualla" and other "ideator" towns, it is used for traditional wedding. A young man who is going for the first introduction at his inlaws is required to come with palm wine. There are specific gallons of palm wine required depending on the custom of the various towns in some parts of the Igbo Land. In India and South Asia, coconut palms and Palmyra palms such as the Arecaceae and Borassus are preferred. In southern Africa, palm wine (ubusulu) is produced in Maputaland, an area in the south of Mozambique between the Lobombo mountains and the Indian Ocean. 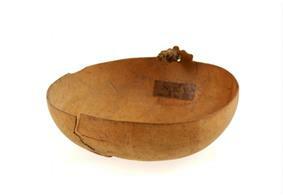 It is mainly produced from the lala palm (Hyphaene coriacea) by cutting the stem and collecting the sap. In some areas of India, palm wine is evaporated to produce the unrefined sugar called jaggery. In parts of India, the unfermented sap is called neera (padaneer in Tamil Nadu) and is refrigerated, stored and distributed by semi-government agencies. A little lime is added to the sap to prevent it from fermenting. Neera is said to contain many nutrients including potash. In India, palm wine or toddy is served as either neera or padaneer (a sweet, non-alcoholic beverage derived from fresh sap) or kallu (a sour beverage made from fermented sap, but not as strong as wine). Kallu is usually drunk soon after fermentation by the end of day, as it becomes more sour and acidic day by day. The drink, like vinegar in taste, is considered to have a short shelf life. However, it may be refrigerated to extend its life. Spices are added in order to brew the drink and give it its distinct taste. 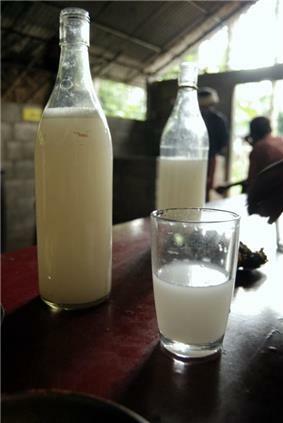 In Karnataka, India, palm wine is usually available at toddy shops (known as Kallu Kadai in [Tamil], Kalitha Gadang in Tulu, Kallu Dukanam in Telugu, Kallu Angadi in Kannada or "Liquor Shop" in English). In Tamil Nadu, this beverage is currently banned, though the legality fluctuates with politics. In the absence of legal toddy, moonshine distillers of arrack often sell methanol-contaminated alcohol, which can have lethal consequences. To discourage this practice, authorities have pushed for inexpensive "Indian Made Foreign Liquor" (IMFL), much to the dismay of toddy tappers. In the state of Andhra Pradesh (India), toddy is a popular drink in rural parts. The kallu is collected, distributed and sold by the people of a particular caste called Settibalija or Goud or Gamalla (Goundla). It is a big business in the cities of those districts. In villages, people drink it every day after work. There are two main types of kallu in Andhra Pradesh, namely Thadi Kallu (from Toddy Palmyra trees) and Eetha Kallu (from silver date palms). Eetha Kallu is very sweet and less intoxicating, whereas Thati Kallu is stronger (sweet in the morning, becoming sour to bitter-sour in the evening) and is highly intoxicating. People enjoy kallu right at the trees where it is brought down. They drink out of leaves by holding them to their mouths while the Goud pours the kallu from the binki (kallu pot). There are different types of toddy (kallu) according to the season: 1. poddathadu, 2. parpudthadu, 3. pandudthadu, . In the Indian state of Kerala, toddy is used in leavening (as a substitute for yeast) a local form of hopper called the "Vellayappam". Toddy is mixed with rice dough and left over night to aid in fermentation and expansion of the dough causing the dough to rise overnight, making the bread soft when prepared. In Kerala, toddy is sold under a licence issued by the excise department and it is an industry having more than 50,000 employees with a welfare board under the labour department. It is also used in the preparation of a soft variety of Sanna, which is famous in the parts of Karnataka and Goa in India. 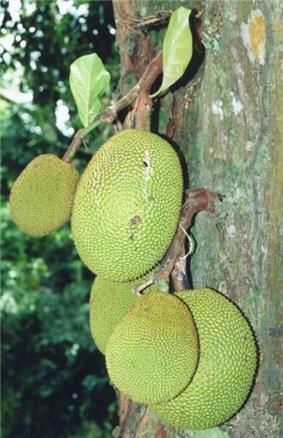 Tuak is imbibed in Sumatra, Sulawesi, Borneo, Bali and parts of Malaysia such as Penang Island and East Malaysia). The beverage is a popular drink among the Ibans and other Dayaks of Sarawak during the Gawai festivals, weddings, hosting of guests and other special occasions. 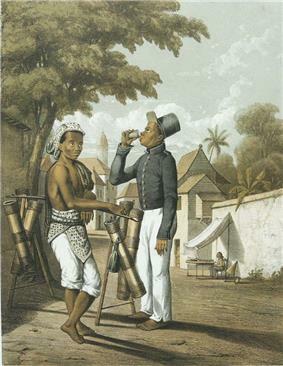 The Batak people of North Sumatra also consume palm wine. 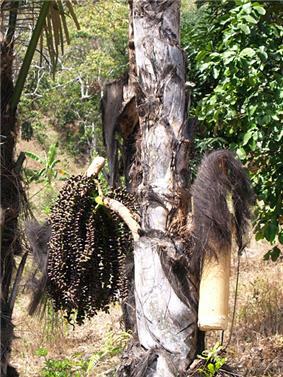 In Northern Sumatra the palm sap is mixed with raru bark to make Tuak. The brew is served at stalls along with snacks. The same word is used for other drinks in Indonesia, for example those made using fermented rice. 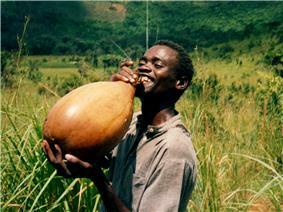 There are four types of palm wine in the central and southern DRC. From the oil palm comes ngasi, dibondo comes from the raffia palm, cocoti from the coconut palm, and mahusu from a short palm which grows in the savannah areas of western Bandundu and Kasai provinces. In Tuvalu, the process of making toddy can clearly be seen with tapped palm trees that line Funafuti International Airport. Libya lāgbi . 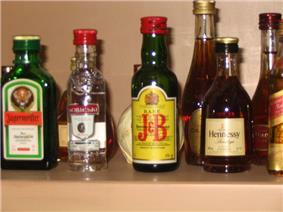 Used for both the alcoholic and nonalcoholic form. 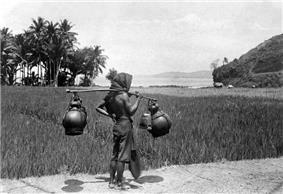 Tapping the "arènpalm" (Arenga pinnata), one of the palms used to make palm wine, in Ambon, Moluccas (1919). The palm tree also supplies fiber to cover roofs and sugar. 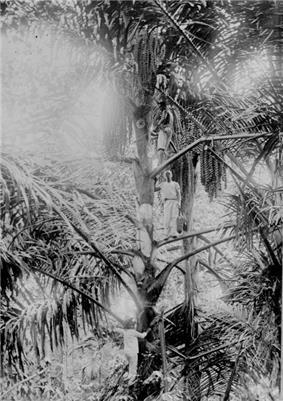 In the Moluccas the tree was especially appreciated because of the palm wine that can be made from the sap of the immature flower flasks. This was called toewak (Dutch), tuak or sagoweer (saguer). The fresh sap, "sugar water", was also so drunk. It is fermented to make the alcoholic beverage and can also be made into vinegar. Taken at Southern Leyte where a tuba gatherer climb the coconut tree to harvest some tuba. Tuak, an alcoholic beverage made of fermented rice, yeast and sugar.